While searching for some stuff on Internet i came across this post about interesting usage of ubuntu livecd and was wondering how many more methods are possible. 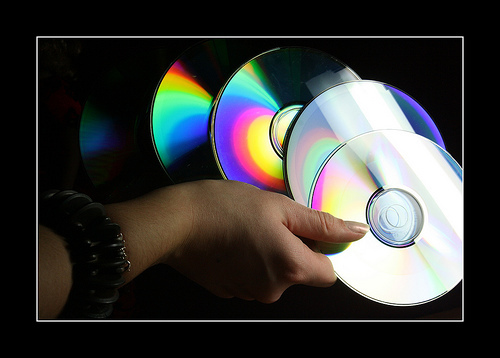 So some basic usage of live cd that everyone understands and atleast expects from a live disk. Banks Providing Live CD with Browser Homepaged to Bank Website. Un Ethical Hacking or Cracking. Testing any Distro before switching to it. Portable Electronic Workbench. <- Preinstalled toolkit for electronics development. Quick Deployable / Easily Resettable Firewall. Live Gaming Disc for LAN parties / Software Demo. Backup O.S. in case of Hardware failure. Backup, rescue and recovery of files from corrupt OS / Corrupt Partition / deleted files. Cluster on Live CD / Load balancer on live Disk. – girlfriend’s Macbook booting to gray screen. It has a single 160 gibibyte SATA hard drive. – my desktop machine with 1 terabyte SATA hard drive and 80 gibibyte IDE hard drive. I needed to get the data off her computer and onto mine so I could reinstall Leopard onto her laptop and copy all her files back over. I took out her hard drive but couldn’t plug it into mine because I only have one SATA cable and it’s being used by my terabyte drive which has Ubuntu on it. In other words, if I hook up her drive, my computer won’t boot to copy the files over. So I burned a 10.04 disc, popped it in, shut down, unhooked my terabyte drive, hooked up her drive and booted into the live environment. This way I had her drive hooked up via SATA and my secondary drive hooked up via IDE. I copied the files over, put everything the way it was, copied the files from my secondary drive to the terabyte drive and now when I fix her machine she can remote into my box and copy all the files back to her machine. A nice usage and well explained too…. These kinds of backups shouldn’t be a hassle. A nice backup cron will work for ages!